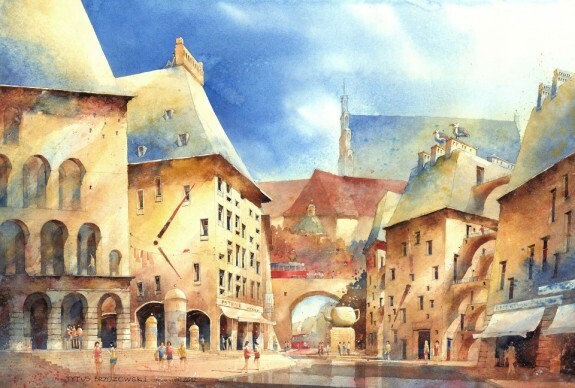 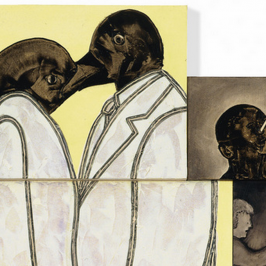 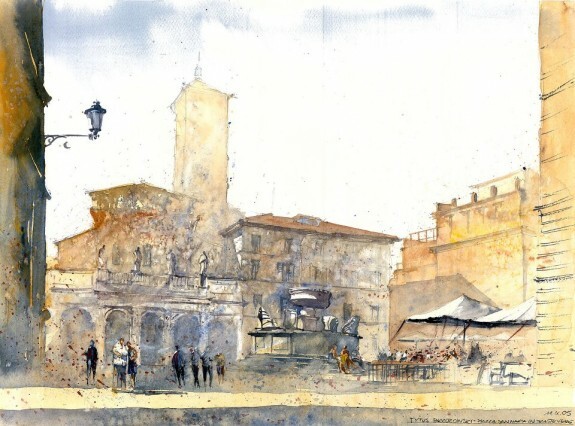 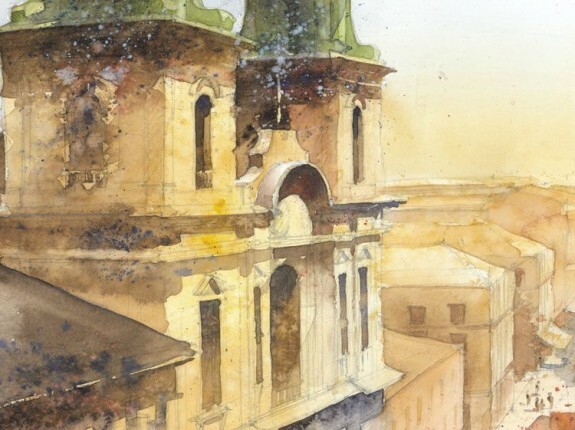 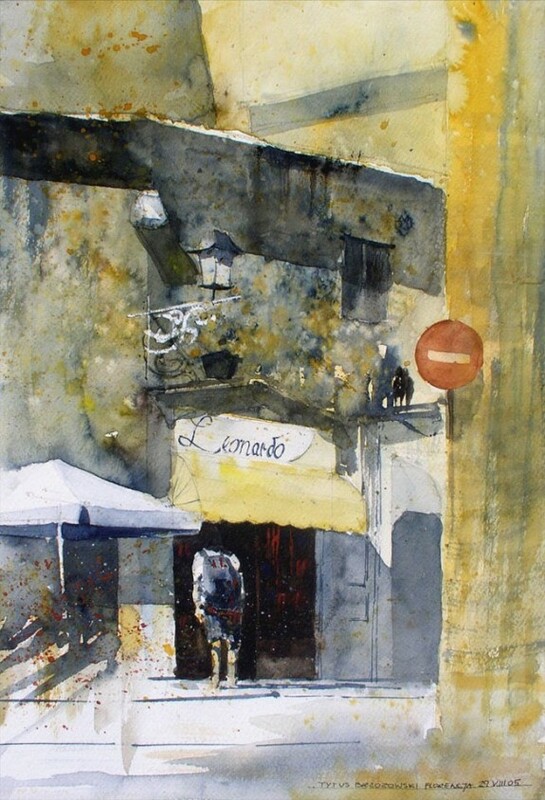 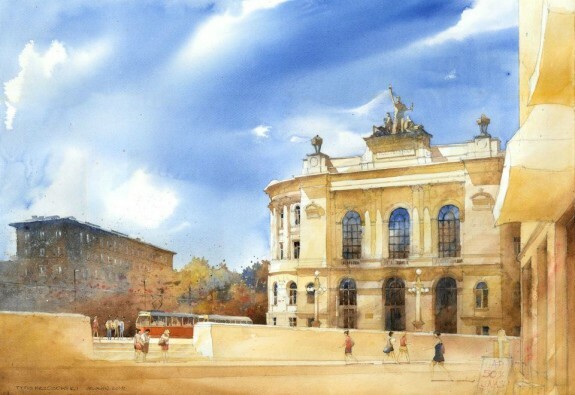 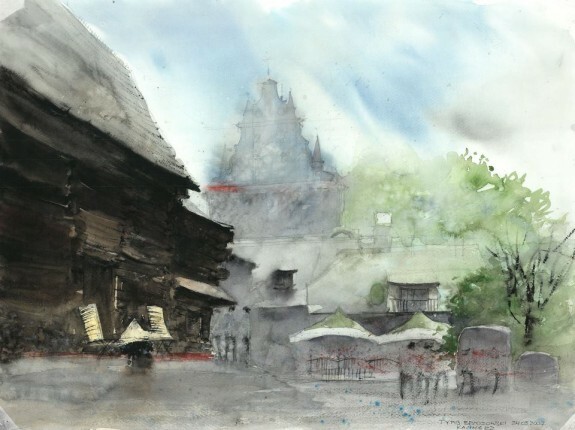 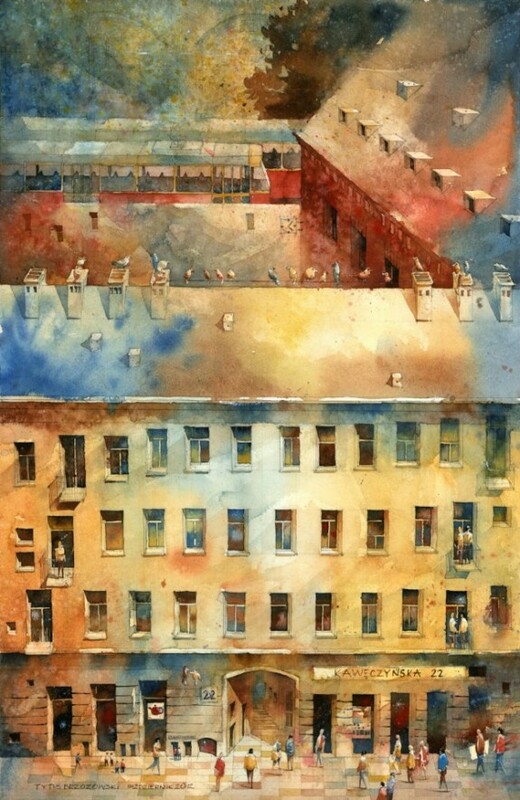 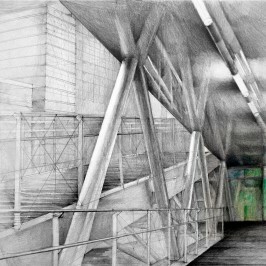 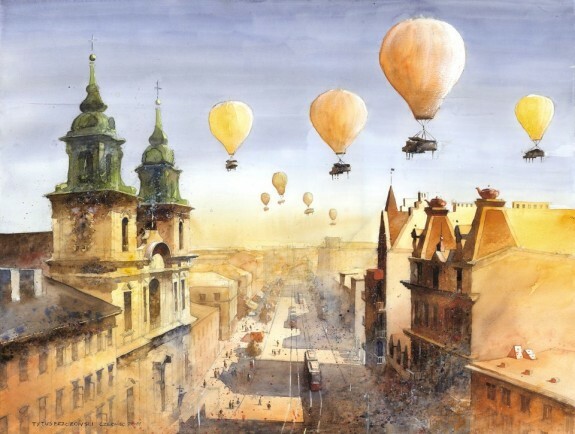 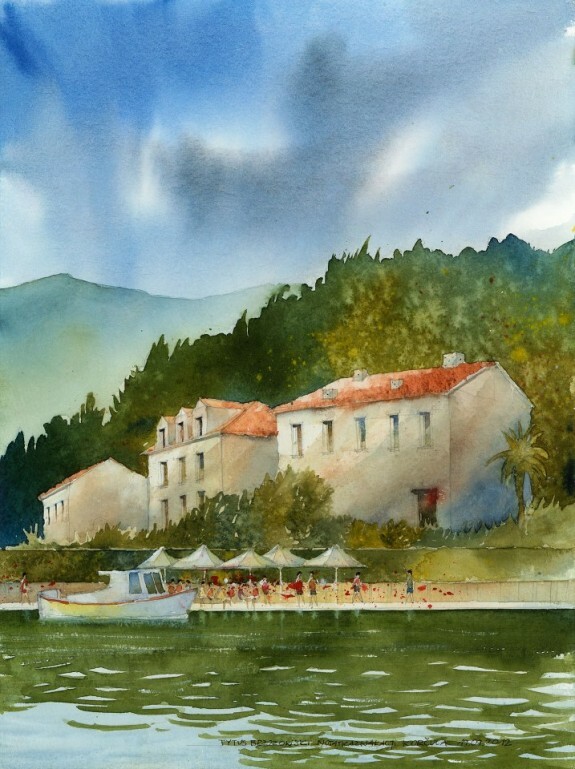 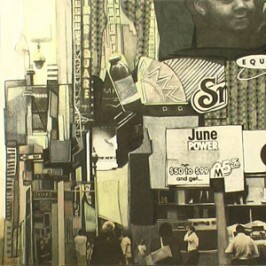 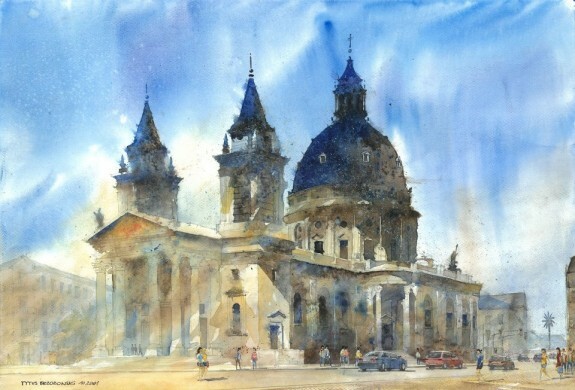 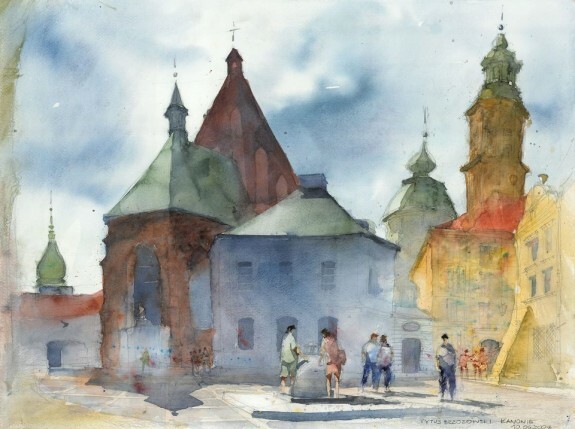 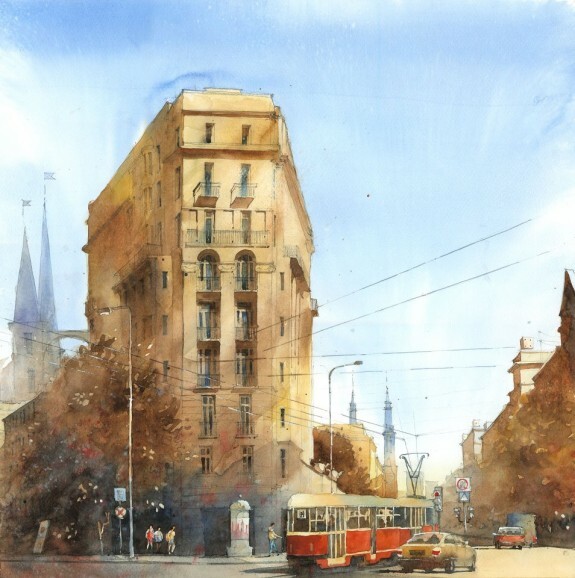 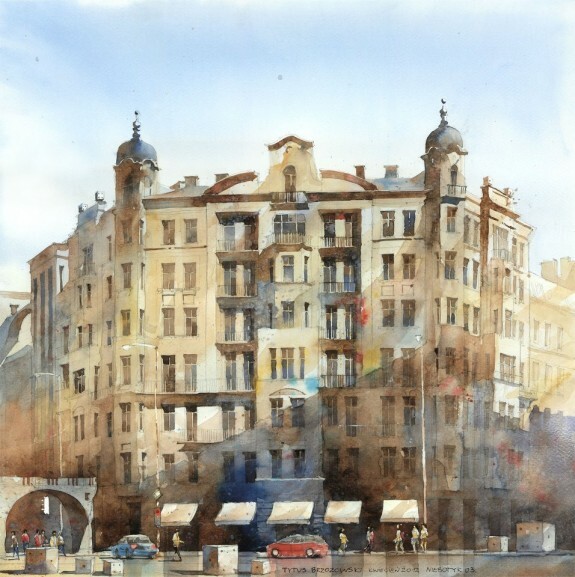 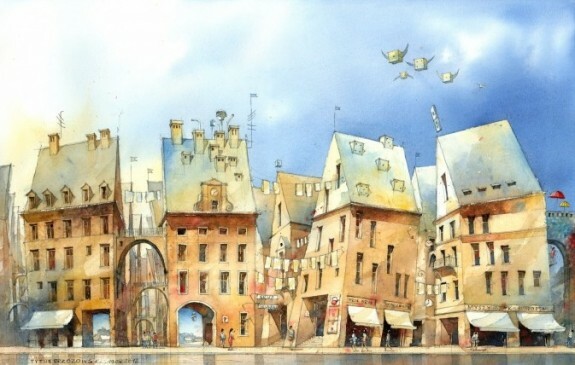 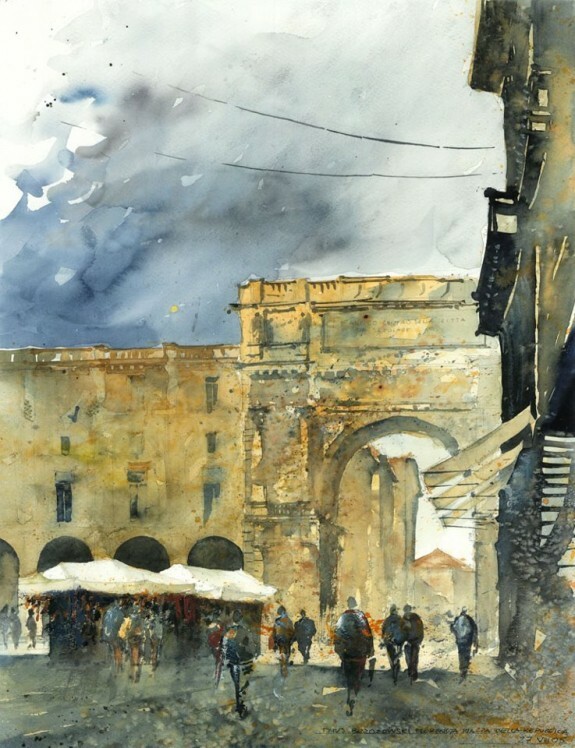 Tytus Brzozowski is a Polish architect and watercolorist who is inspired by the dynamics, color, design, and history of Warsaw. 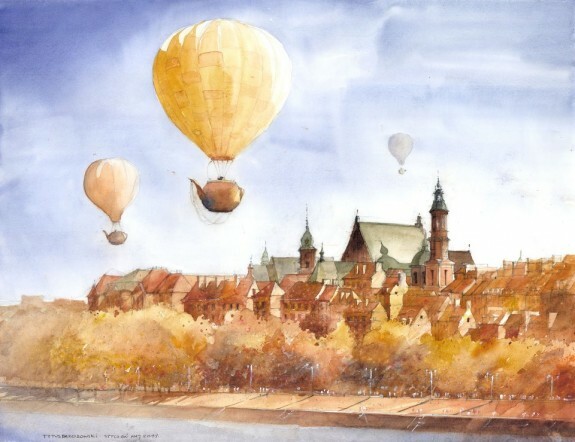 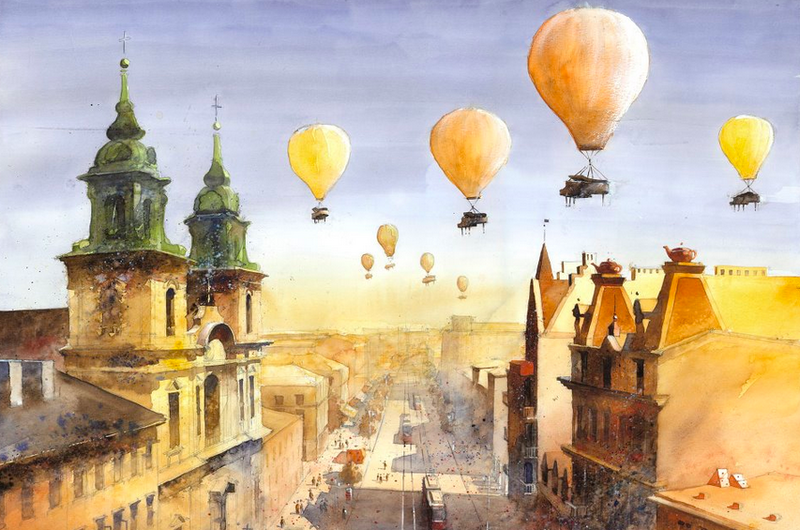 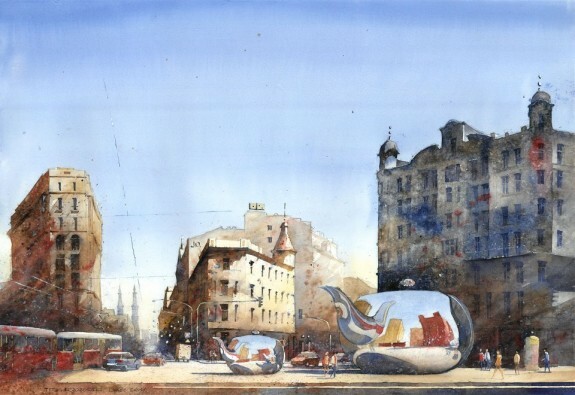 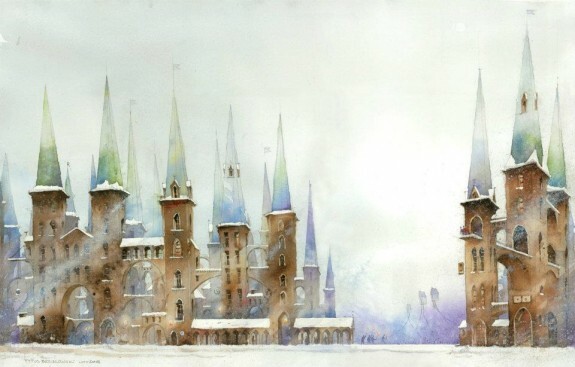 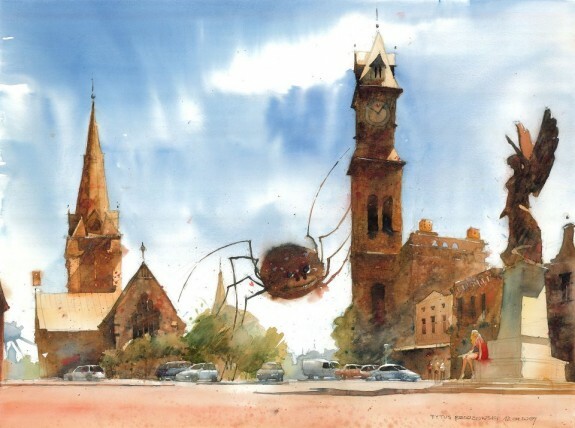 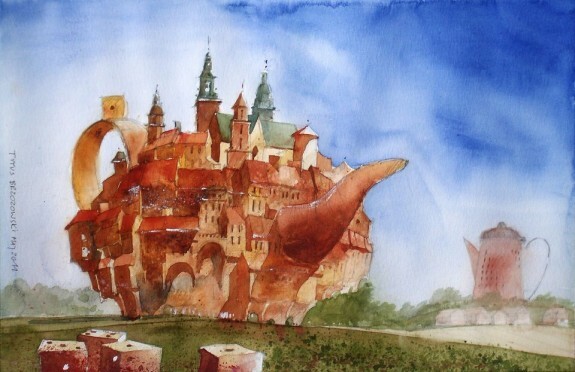 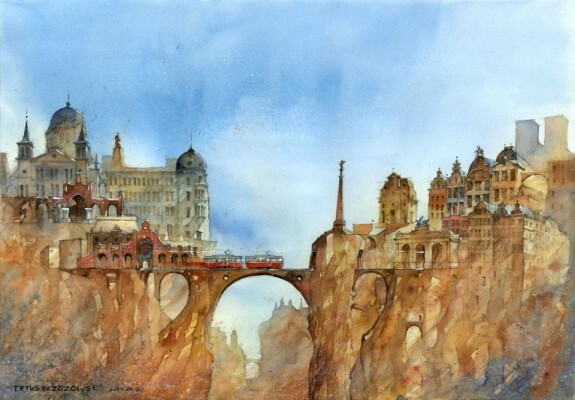 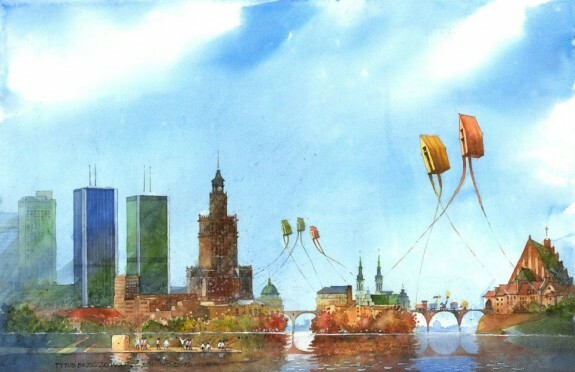 He creates watercolor paintings that often combine detailed architectural images with whimsical and imaginary scenes, such as pianos suspended by hot air balloons and buildings shaped like teapots (images that remind me of Hayao Miyazaki's classic animated movie Howl's Moving Castle). You can follow Tytus on his Facebook page.